When Henry Gross took to the stage with Sha Na Na at ‘7.30pm’ on Sunday, August the ‘17th’ 1969, the eighteen year old made history, he became the the youngest person to perform at the Woodstock Music and Arts Fair. Despite his relative youth, Henry Gross took playing in front of 400,000 people in his stride during Sha Na Na’s thirty-minute set that preceded the arrival of Jimi Hendrix. This was no surprise, as Henry Gross was already an experienced musician. Henry Gross was born on the ’1st’ of April 1951, in Brooklyn, New York. His mother was a music lover who encouraged Henry Gross’ love of music and later, nascent career. By the time Henry Gross was thirteen, he had already played at the World’s Fair with his first band. Within a year, fourteen year old Henry Gross was a familiar face in the clubs of New York. This was a tough musical apprenticeship. One of the clubs Henry Gross’ band played was owned by a major New York gangster who encouraged Henry to pursue his musical career. Playing the tough, rough and ready clubs of New York meant Henry Gross was ready for anything. However, when the summer came, Henry played to a very different audience. When the school term ended, Henry Gross headed to the Catskill Mountains where he played at the resort hotels. This was other part of Henry Gross’ musical apprenticeship. By the time Henry Gross graduated from high school in 1969, his music apprenticeship was complete and he headed to Brooklyn College. That was where Henry Gross founded Sha Na Na. When Sha Na Na were founded, there was one word that many critics used to describe the nascent band…unique. They realised the importance of standing out from the crowd, so Sha Na Na billed themselves as a group: “from the streets of New York.” They wore leather jackets and gold lame. Their hair styles ranged from a pompadour to slicked back ducktails. Similarly unique were their shows. When Sha Na Na walked on stage they proceeded to combine song and dance, and the music they played was a mixture of fifties rock ’n’ roll and doo w0p. Sha Na Na managed to simultaneously revived and sent up rock ’n’ roll. This proved a popular draw, and before long, Sha Na Na were opening for some of the biggest names in music including Dr. John, Grateful Dead, B.B. King, Canned Heat, Santana, Taj Mahal and The Kinks. That was how highly Sha Na Na’s peers thought of them. For Sha Na Na, this was just the start of their rise and rise. 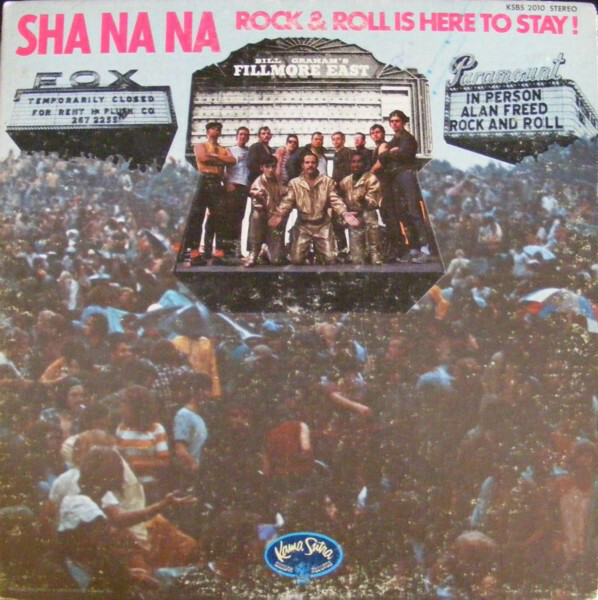 Later in 1969, Sha Na Na released their debut album Rock ’N’ Roll Is Here To Stay. Although it only reached number 183 in the US Billboard 200, word spread about Sha Na Na. This lead to Sha Na Na being asked to play at the 1969 Woodstock Music and Arts Fair. The Woodstock Music and Arts Fair took place between the 15th and 17th August 1969, and was advertised as “three days of peace and music.” For Sha Na Na this would launch their career. When the day came, Sha Na Na headed to the main stage where they played a thirty-minute set that began on ‘7.30pm’ on Sunday, August the ‘17th’ 1969. For a relatively new band, this was the opportunity of a lifetime, and was like hitting a home run in the World Series. However, Henry Gross didn’t see it like this. Standing at the side of the stage, Henry Gross watched some of the biggest names in music play. Then as Jimi Hendrix brought the Woodstock Music and Arts Fair to a close, Henry realised Sha Na Na wasn’t what he wanted to be doing. He thought about Sha Na Na, which featured twelve men and women dressed as if they’d stepped out of the fifties. However, psychedelia was King, and the fifties was another country. Musically, Henry Gross knew that the fifties was music’s past. Henry Gross also looked at the other members of Sha Na Na. They were happy doing what they were doing, and Henry Gross knew They were good people. However, they weren’t taking things seriously. Henry Gross was different, and wanted to make a living out of music. He knew had was a talented singer and songwriter, so, in 1970, Henry Gross left Sha Na Na. Having left Sha Ne Na in 1970, Henry Gross signed to ABC-Dunhill Records in 1971, and soon, was working on his eponymous debut album. When he wasn’t working on his debut album, Henry Gross did some session work. One of the albums he played on was Jim Groce’s I Got A Name. It was released in 1973, and reached number two in the US Billboard 200. By then, Henry Gross had left ABC-Dunhill Records. Having written and recorded his eponymous debut album, Henry Gross released by ABC-Dunhill Records in 1972. Henry Gross was reasonably well received by critics with tracks like My Sunshine and Loving You-Loving Me showing what Henry Gross was capable of. However, some critics felt that Henry Gross was a couple of tracks short of being a fine album. Prayer To All and You’ll Be Mine disappointed critics.While these tracks may not have been the strongest on the album, Henry Gross certainly showed how much potential the young singer-songwriter had. 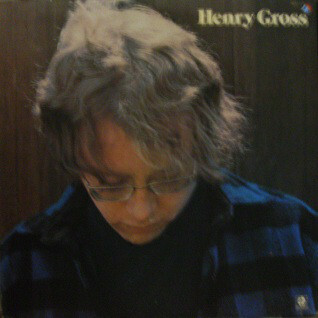 When Henry Gross was released in 1972, record buyers failed to spot that potential and Henry Gross failed to chart. As a result, Henry was dropped by ABC-Dunhill Records. He wasn’t without a record contract long and signed to A&M in 1973. ABC-Dunhill Records seemed to have been hasty releasing Henry Gross, and he was snapped up by A&M. Henry Gross hadn’t been allowed to develop and mature as an artist by ABC-Dunhill, which takes time. Sometimes, an artist doesn’t hit his stride until his second or in some cases, third album. Now signed to A&M, Henry Gross began work on his sophomore album, which when it was completed, somewhat confusingly, was also entitled Henry Gross. It found favour amongst record critics. On the release of Henry Gross in 1973, it was apparent that Henry was maturing as a singer and songwriter. Accompanied by a tight, talented band, Henry Gross worked his way through ten tracks. One of the highlights was Meet Me On The Corner, which gave Lindisfarne the biggest hit of their career. Other highlights included Simone, The Ever Lovin’ Days and Lay Your Love Song Down, which all showcased Henry Gross as he evolved as a singer and songwriter. It was no surprise when Henry Gross was released, to widespread critical acclaim. Sadly, commercial success eluded Henry. Despite the undoubted quality of Henry Gross, the album failed to chart. For Henry Gross, this must have proved frustrating. After all, singer-songwriters were in vogue, and James Taylor, Jackson Browne, Tim Buckley, Joni Mitchell and Carole King were enjoying critical acclaim and commercial success. Soon, so would Henry Gross. Although the commercial failure of Henry Gross’ sophomore album was disappointing, it made him even more determined to succeed. Henry Gross went away and began work on his third solo album, Plug Me Into Something. 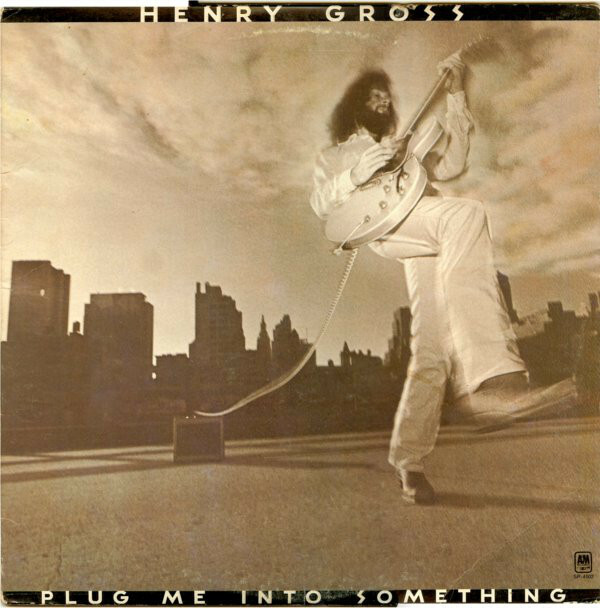 When Plug Me Into Something was released in 1975, it proved to be a coming of age for Henry Gross musically. Plug Me Into Something was hailed a career defining album for Henry Gross, and saw him continue to mature as a singer and songwriter. Proof of this were songs of the quality of One More Tomorrow, I’ll Love Her, All My Love and Tomorrow’s Memory Lane, which showed how far the twenty-four year old Henry Gross had come. When twenty-four year old Henry Gross he released Plug Me Into Something in 1975, he was still only twenty-four, and had grown and matured as a singer, songwriter and storyteller since leaving ABC three years earlier. His critically acclaimed third album Plug Me Into Something reached number twenty-six in the US Billboard 200 chart, which made it the most successful album of his career. Over at ABC-Dunhill Records, someone had some explaining to do. They had cut Henry Gross loose too early in his career. Adding to their embarrassment was that he was about to enjoy the most fruitful period of his career, starting with Release, which featured the biggest hit single of Henry’s career, Shannon. By the time Henry began work on his fourth album Release, he was in-demand as a session guitarist. Henry Gross had also left A&M Records, and signed to Terry Cashman and Tommy West’s Lifesong Records. Signing to Lifesong Records must have been a culture shock for Henry Gross, who had previously been signed to large labels, ABC-Dunhill Records and A&M Records. At Lifesong Records, the roster was smaller and meant each artist was treated as individual.Artists were no longer part of the corporate machine, and the label’s two co-owners Terry Cashman and Tommy West would produce Release, Henry’s Lifesong Records’ debut. 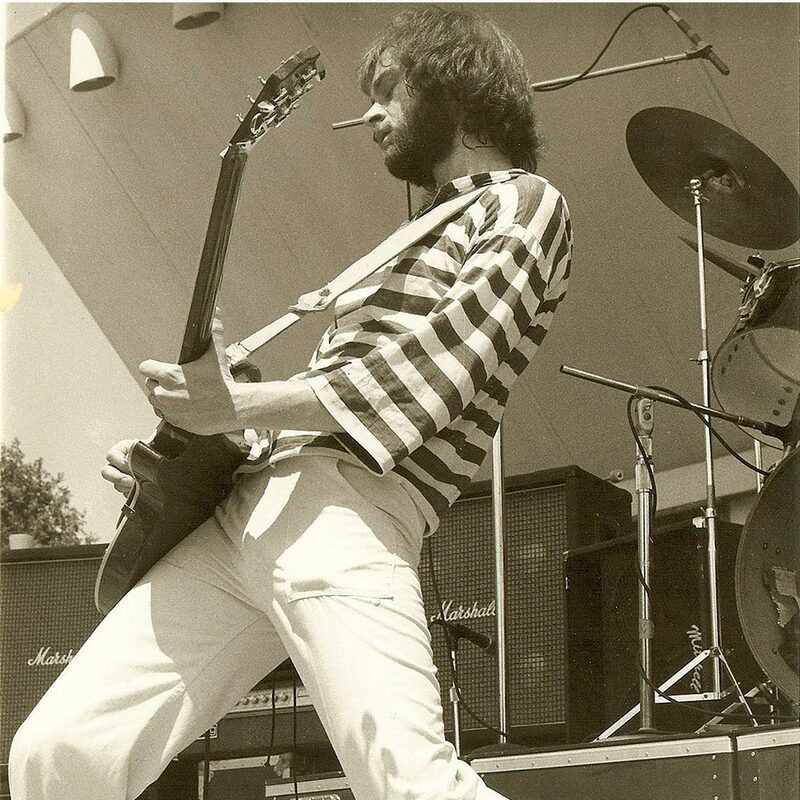 For Release, Henry Gross penned a total of ten tracks, which included a song he wrote about the death of Carl Wilson’s red setter dog, Shannon. To onlookers, this seemed a strange subject for a song. Little did anyone know the effect Shannon would have. However, before Shannon was released as a single, it had to be recorded. Recording of Release took place at The Record Plant, New York, between September and November 1975. Henry Gross was joined by a band that featured some session players. Once they had played their part, a horn and string section adding the finishing touches to Release, which was released in 1976. When critics heard Release, they were won over by Henry’s fourth album. Release received widespread critical acclaim. Henry Gross’ blend of pop, soft rock and A&M pop found favour with critics. Dissenting voices were very much in the minority. Everything was looking good for the release of Release. That proved to be the case when Shannon was released as a single, it reached number six in the US Billboard 100, number one in Canada and number thirty-two in the UK. Eventually, Shannon was certified gold in America alone. The sophomore album Springtime Mama, then reached number thirty-seven in the US Billboard 100. 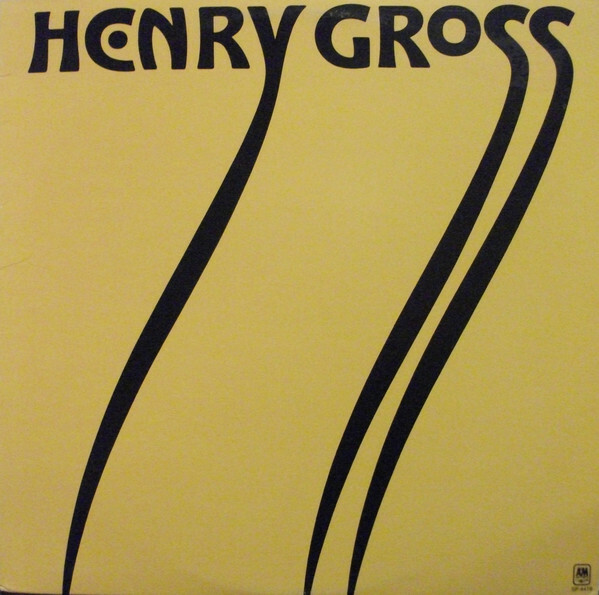 Then when Release, which was Henry Gross’ most eclectic album was was released in 1976, it reached number sixty-four in the US Billboard 200. The only disappointment was that Release hadn’t reached the same heights as Plug Me Into Something. However, Release featured Shannon which had just been certified gold and was regarded as most eclectic and finest album. Everything in Henry Gross’ career had been building up to Release, and critics thought that this was the start of a lengthy period when critical acclaim and commercial success would come Henry Gross’ way. Show Me To The Stage. After the commercial success and critical acclaim of Release, Henry started work on his fifth album. He wrote the ten tracks that became Show Me To The Stage, which was recorded at The Record Plant, New York. Recording took place between October 1976 and January 1977, at The Record Plant. Some of the musicians who played on Release returned for Show Me To The Stage. Once again, Tommy West and Terry Cashman took charge of production, and once recording of Show Me To The Stage was completed, in was released in 1977. Five years after releasing his eponymous debut album in 1972, Henry Gross released Show Me To The Stage. Critics regarded Show Me To The Stage as an album of two sides. Side one was something of a slow burner, cumulating in an intriguing cover of The Beatles’ Help. It showcases the not just the production skills of Cashman and West, but their harmonies. Then on side two of Show Me To The Stage Henry can do no wrong. Hooks are in plentiful supply as side two has an uplifting and joyous with a feel-good, summery vibe. Critics forecast great things for Show Me To The Stage. Sadly, that wasn’t to be. Show Me To The Stage stalled at just number 176 in the US Billboard 200. For Henry, his career had stalled. Worse still, he was back to where he was after his sophomore album. For Henry Gross this was a huge disappointment. 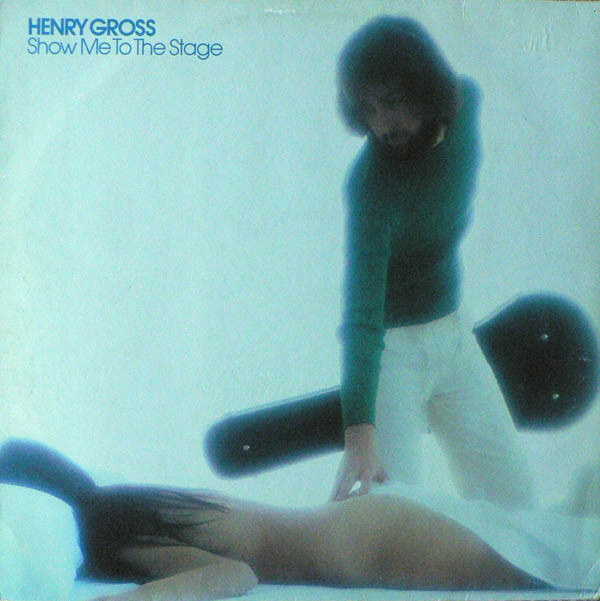 Show Me To The Stage was one that got away for Henry Gross, and is an album deserved to far much better than it did. It’s without doubt the most underrated album of Henry Gross’ career. However, for Henry Gross the most worrying thing was that he was back to where he was after his eponymous sophomore album. His next album was the most important of his career. Fortunately, Henry Gross still owed Lifesong Records one album, and this offered him the chance to redeem himself. If his next album was successful, there was every possibility his contract would be extended and he could continue to rebuild his career. Meanwhile, Tommy West and Terry Cashman had decided that Henry Gross’ next album would be a live album, This was much cheaper to record than a studio album like Show Me To The Stage. Maybe, the pair had realised that Henry Gross’ career was already on the slide, and that if they poured money into recording a studio album, it was money they were unlikely to recover. However, with Henry Gross was booked to play twice at New York’s Bottom Line for the King Biscuit Flower Hour this was the perfect opportunity to record a live album. Tommy West and Terry Cashman arranged for both of Henry Gross’ performances to be recorded, and one of these would become Show Me To The Stage. Eventually, it was the second of Henry Gross’ two appearances at New York’s Bottom Line for the King Biscuit Flower Hour was chosen by Tommy West and Terry Cashman. chose the second, where Henry Gross plays a selection of his best known and best-loved songs. The late shows saw Henry Gross playing nine songs, including Rock ‘N’ Roll I Love You, Come Along, Juke Box Song, Southern Band and his biggest hit single Shannon. This live set of some of his finest songs, Henry Gross hoped would rejuvenate his career upon its release in 1978. 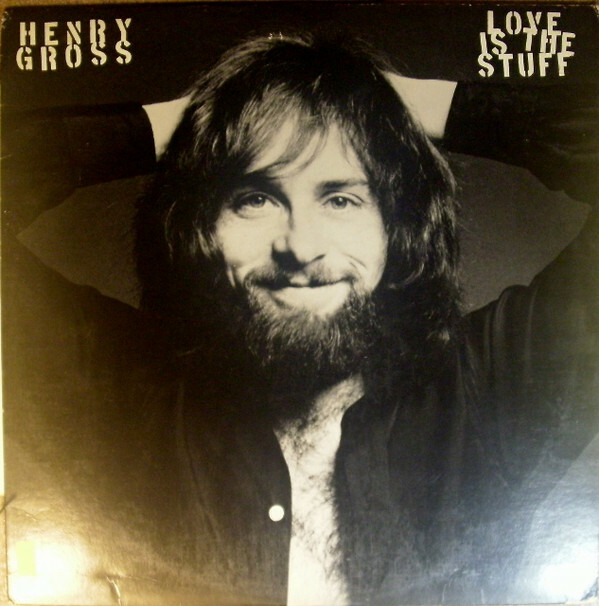 Before Lifesong Records released Love Is The Stuff, critics had their say on an album which found Henry Gross switching between pop, rock and rock ’n’ roll. While most of the critics were won over by the album, some critics weren’t convinced by Love Is The Stuff. When Love Is The Stuff was released in 1978, the album failed to even trouble the lower reaches of the US Billboard 200. This was a huge disappointment for Henry Gross, considering it was his swan-song for Lifesong Records. Not long after Love Is The Stuff was released, Henry Gross was signed by CBS Records, who had given a distribution deal to Cashman and West’s label. Now signed to a major, who had the budget to promote his albums, this should’ve been the start of the rise and rise of Henry Gross. Sadly, Henry Gross’ only release for CBS was What’s In A Name, which was released by Capitol Records in 1981 and failed to chart. This was the end of Henry Gross’ time at CBS. When Henry Gross returned six years later, with his new album I Keep On Rockin’ in 1987, he was signed to the Scandinavian label Sonet Records. Just like his previous album, commercial success eluded I Keep On Rockin’. It was a similar case when Sonet Records released She’s My Baby in 1989. After that, Henry Gross left Sonet Records and in the early nineties, formed his own label Zelda Records. By then, the success of the album Plug Me Into Something and his the single Shannon must have seemed a long time ago, However, it was only 1975, that critics were forecasting a great future for Henry Gross, who had been heralded as having the potential to become one of the great singer-singers of the seventies. Especially after the release of Plug Me Into Something in 1975, which featured his biggest hit single Shannon. However, it was all downhill after Plug Me Into Something, with Henry Gross never reaching the same nights. When Henry Gross released his fifth Show Me To The Stage in 1977, it was his last album to chart.The rise and then demise of Henry Gross had been equally rapid. That was a great shame, as Henry Gross had released the best music of his career during the seventies. Plug Me Into Something and Release were Henry Gross’ finest albums, while Show Me To The Stage and Love Is The Stuff are both hidden gems.. They’re a reminder of Henry Gross, whose star briefly shawn brightly during the mid-seventies, when it looked looked this truly talented troubadour was going to become one of great singer-songwriters of his generation. ← THE LIFE AND TIMES OF SANDY DENNY.